... a superbly crafted, highly sophisticated cinematic journey into psychedelic and transcendent consciousness. 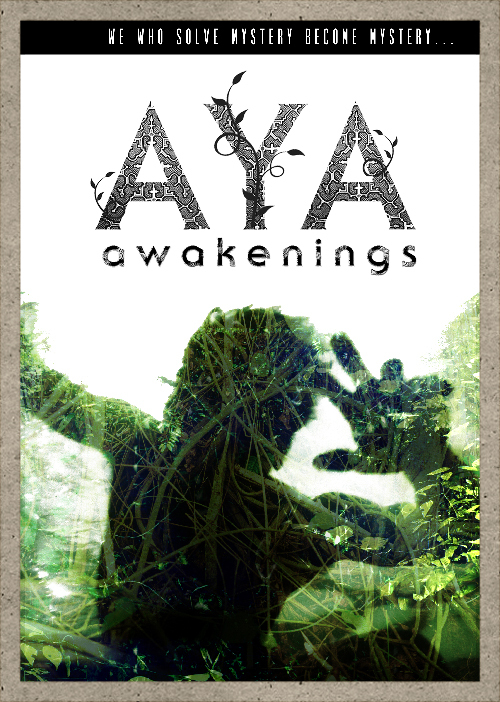 ​AYA: Awakenings is a documentary journey into the world and visions of Amazonian shamanism, adapted from the cult book ‘Aya: a Shamanic Odyssey’ by Rak Razam. As Razam sets out to document the booming business of Amazonian shamanism in the 21st century, he quickly finds himself caught up in a culture clash between the old world and the new. Braving a gringo trail of the soul, he uncovers a movement of ‘spiritual tourists’ coming from the West for a direct experience of the multi-dimensional reality shamanism connects one to. Central to this is ayahuasca – the “vine of souls” – a legal South American entheogenic plant medicine that has been used by Amazonian people for millennia to heal physical ailments and to cleanse and purify the spirit. In researching the mystery of ayahuasca, Razam undergoes his own shamanic initiation, undergoing numerous tests and trials in the jungle and the psychic landscapes the vine reveals. By blending narration directly from the book with video footage, interviews with practicing curanderos, samples of traditional icaros or magic songs, photographs and cutting edge special effects, AYA: Awakenings reproduces the inner landscape of the visionary state in unprecedented detail, invoking an awakening in the viewer. This documentary charts the Global Shamanic Resurgence born in the jungles of Peru and reaching out to embrace the world.